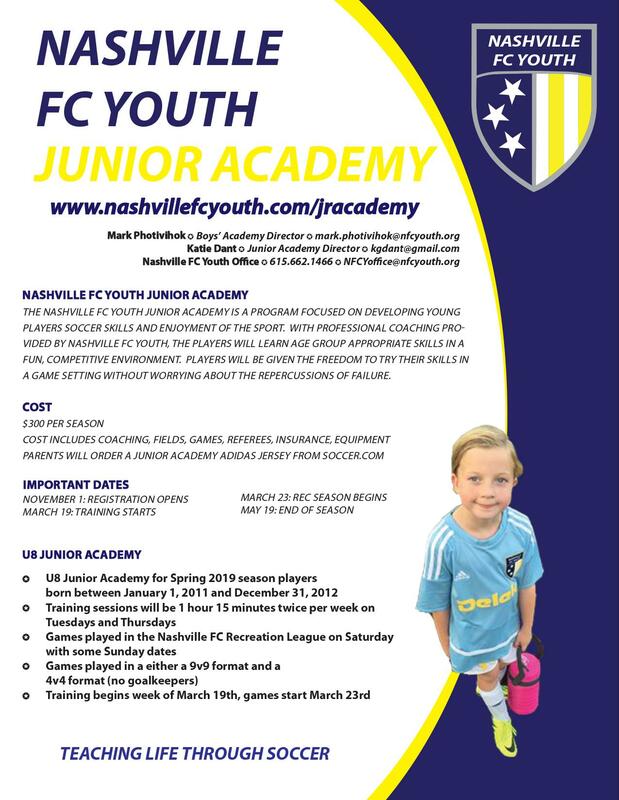 The Nashville FC Youth Junior Academy is a program focused on developing young players soccer skills and enjoyment of the sport. With professional coaching provided by Nashville FC Youth, the players will learn age group appropriate skills in a fun, competitive environment. Players will be given the freedom to try their skills in a game setting without worrying about the repercussions of failure. To be eligible for the U8 Junior Academy for the Fall 2018 and Spring 2019 seasons, the player must be born between January 1st 2011 and December 31st 2012. 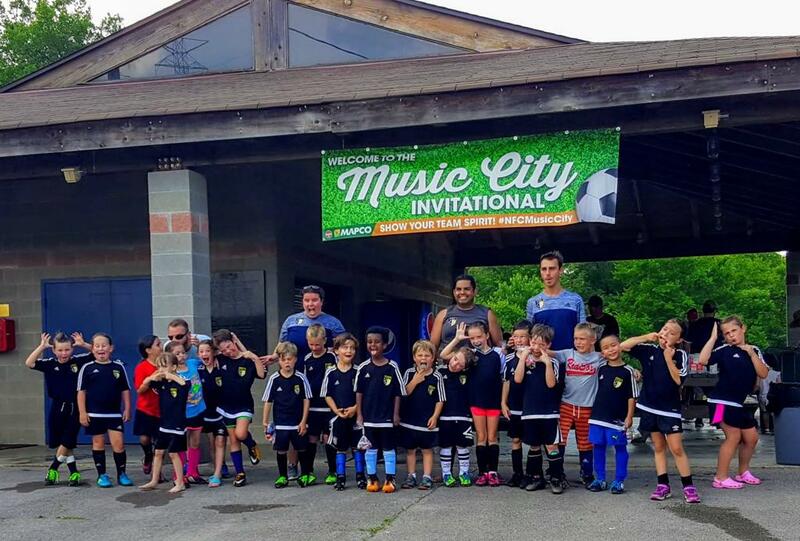 We invite players of all levels to join the Nashville FC Junior academy. Junior Academy players will NOT participate in tryouts. The cost for participation is $300 per season. Jerseys will be bought by parent through soccer.com. We will get info out as people get signed up. 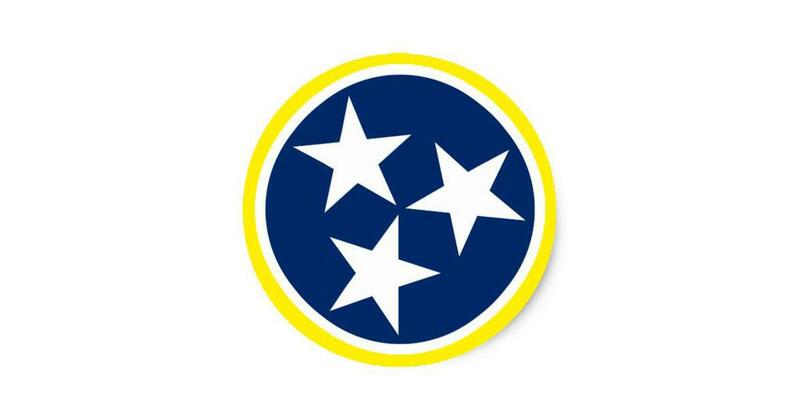 Games will be played within the Nashville FC Youth Recreation League. Most games will be played on Saturday with some Sunday dates. Because we play in the Nashville FC Recreation League the season coincides with their dates. Training will start 2 weeks prior to the season and run through the last game. Training session will be 1 hour and 15 minutes long twice a week. Our curriculum at Nashville FC Youth is focused on soccer development. For this age group, teaching the player to be comfortable with the ball at their feet is very important. We will work on dribbling moves and taking players on. Simple passing and receiving will be introduced as the program moves forward. Tactically they will be working on defensive and offensive spatial awareness. We will do our best to schedule Jamborees/friendlies with other U8 groups with other clubs from around the area. These are normally short games played in the 4v4 format. There is travel and extra cost for these games. The extra cost goes to the refs for the game. Depending on scheduling there should be 2-3 of the jamboree dates.